Google released new Chrome app to access Google Keep in your computer. 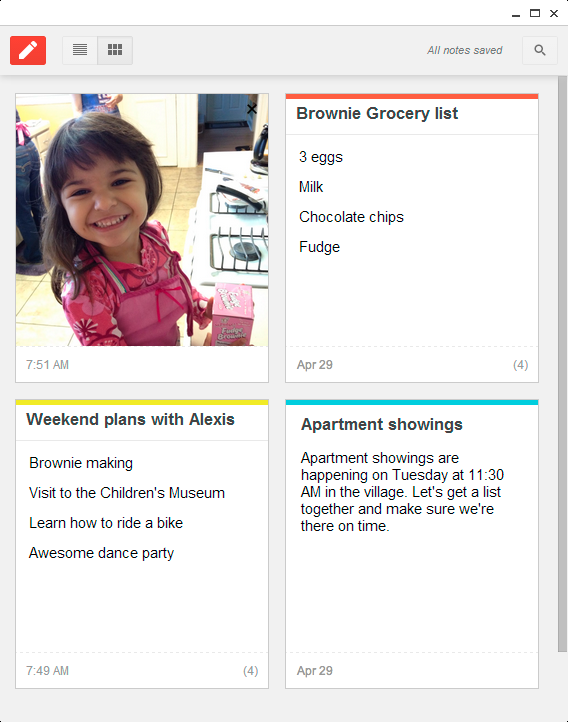 Last month Google launched its new note taking service for Android and Web users. Now the company extents the service to desktop users too. The new Google Keep chrome app works in offline, so users can create notes, cross out your to-do lists, and attach photos to tasks while in work on other things without internet connection. Your notes will be saved and syncs automatically to web and other devices when your connection returns.